It's something for the head again, but no hat this time. 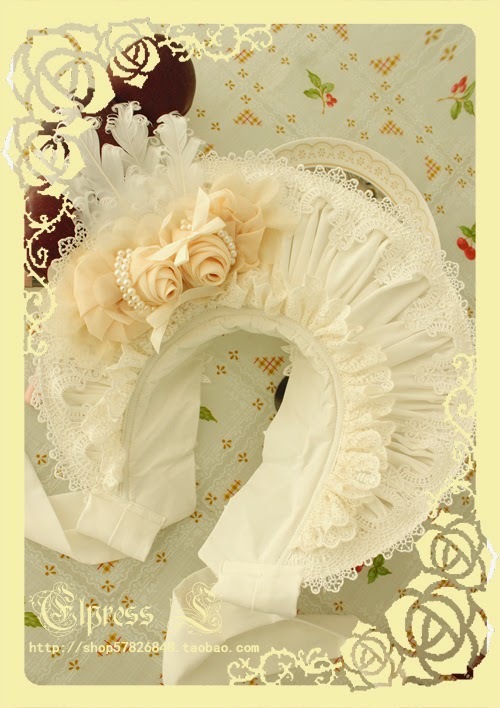 No, it's a cute and frilly bonnet I have been drooling over everytime I saw a picture of it on tumblr. 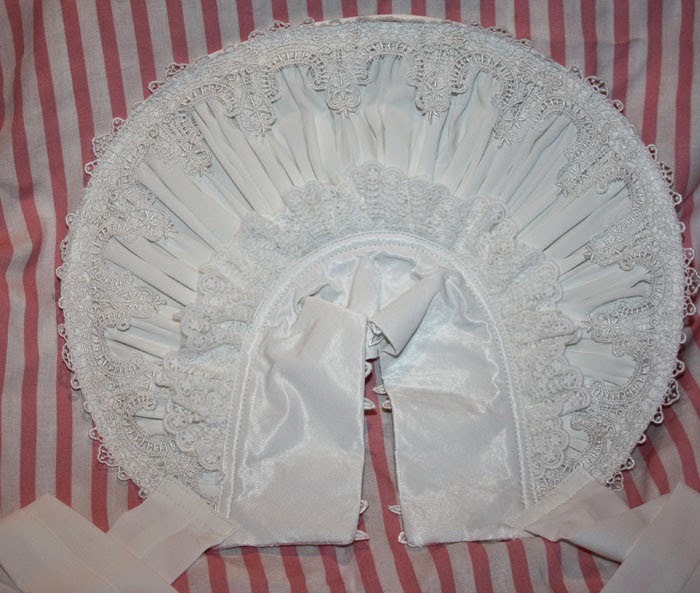 No review about shipping and handling again this time because this bonnet was also group-ordered. The shop is called Elpress L.
This is the front. 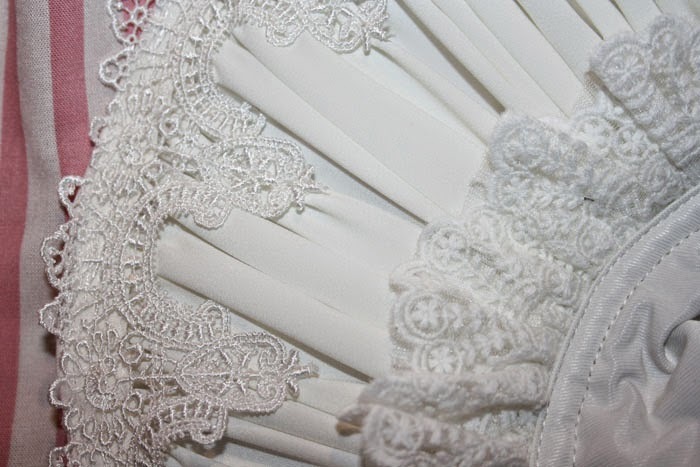 I love the big lace and the folds. 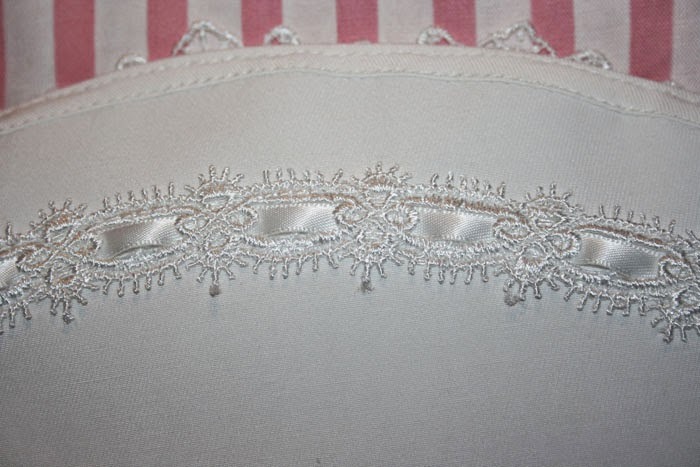 Detail picture of the lace. And this is the back. 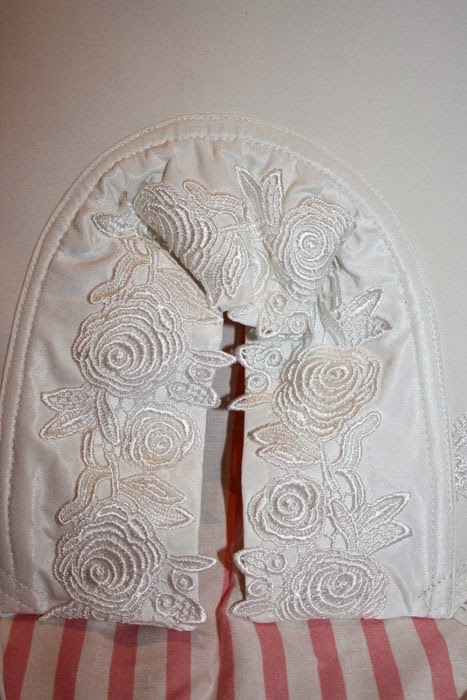 The big rose lace is so pretty. 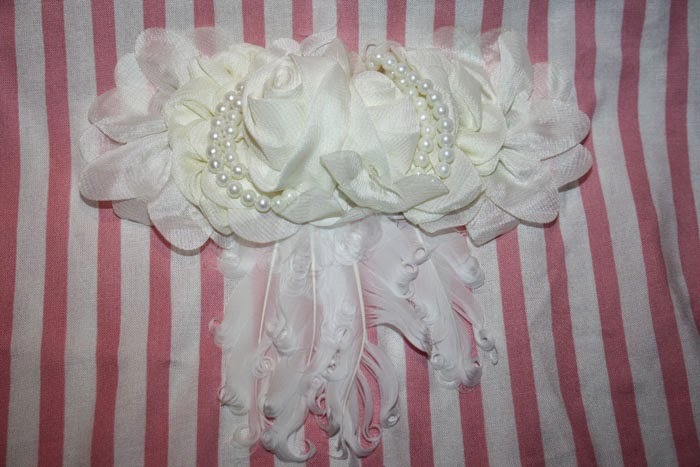 A rose, pearl and feather brooch to put on the bonnet. The only problem is, that one brooch is missing?? 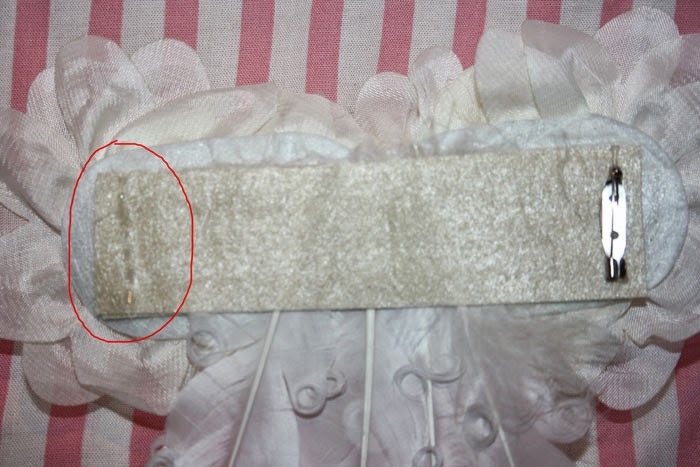 The glue is still on the felt piece but the pin part could not be found. Biiiig minus! 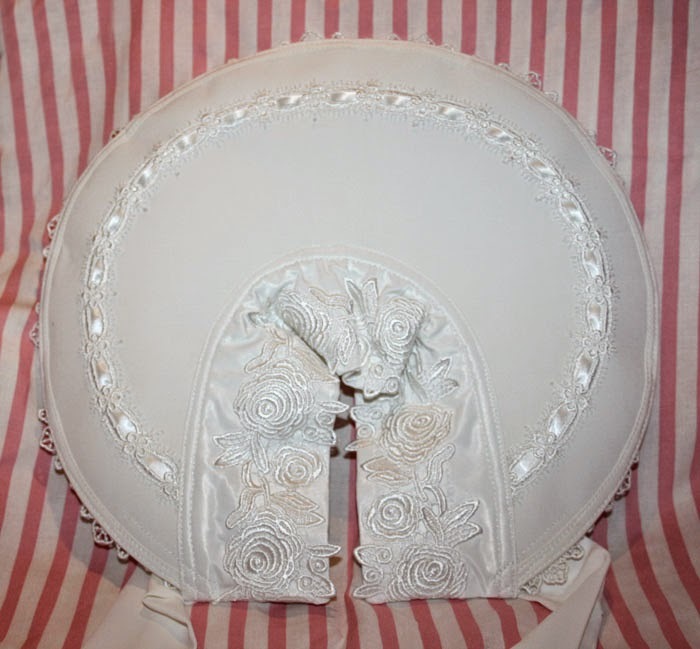 Including shipping (7,5€) and taxes (12,5€) I paid 53€ for the bonnet. asdfghjk??!! I own a few bonnets but this one...? I tried it on and it just doesn't fit properly. It's so wobbly and weird. The bonnet looks fantastic, no complains about that. But the missing pin and the wear comfort is a BIG minus. Therefore again, only 2 stars out of 5.